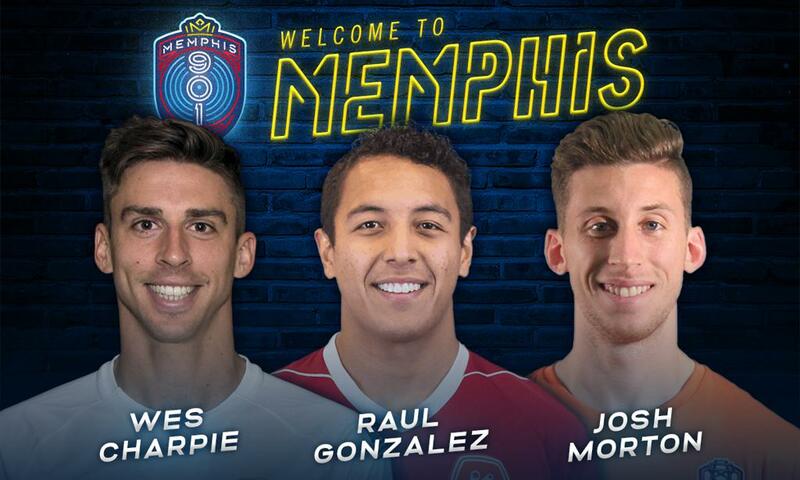 MEMPHIS, Tennessee – Memphis 901 FC has signed its first three players for its inaugural 2019 United Soccer League season, Sporting Director Andrew Bell and head coach Tim Mulqueen announced today, with midfielder Raul Gonzalez, defender Wes Charpie, and defender Josh Morton becoming the first to don the club’s crest pending league and federation approval. Season ticket holders can meet the players, plus Bell, and Mulqueen at an exclusive USL Cup Watch Party at AutoZone Park on Thursday, Nov. 8 from 6:30-9:30 p.m. Season ticket holders will be treated to one free beer in addition to giveaways, autographs, and photo opportunities. Additional food and drinks will be available for purchase. 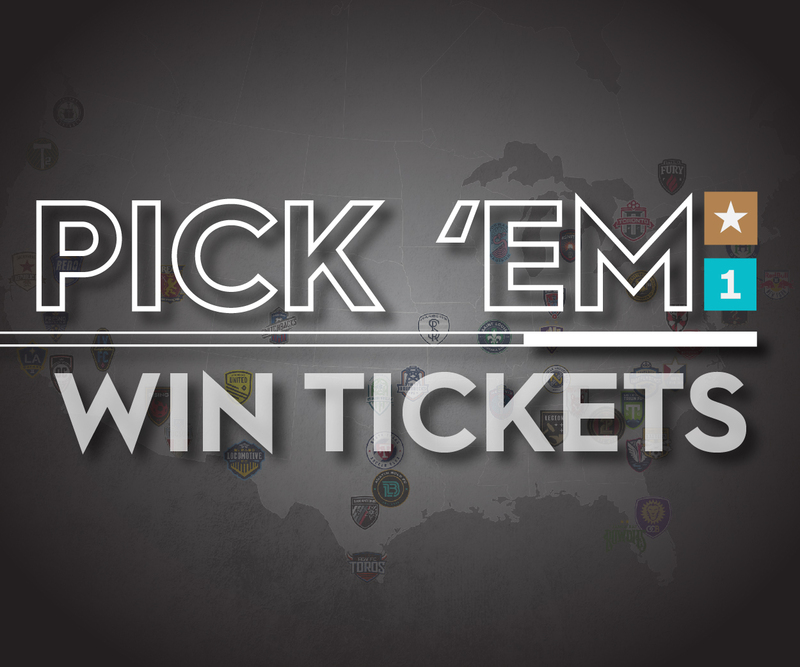 Season tickets, which start at just $10 per match, can be purchased at www.Memphis901FC.com/seasontickets or by calling (901) 721-6000. Gonzalez played collegiate soccer at the University of Memphis and spent the previous two seasons with the USL’s Richmond Kickers. He made 47 starts for Richmond in 2017 and 2018 and scored five goals. Before signing with Richmond, the Ocean Springs, Miss., native made 65 appearances over four seasons with Memphis and tallied 13 goals and 13 assists. Gonzalez was a two-time all-conference honoree for the Tigers, and he was named to the All-Rookie Team as a freshman in 2013. His breakout season came as a junior in 2015, when he started all 17 matches, scored a team-high seven goals, and led Memphis with 16 points. Charpie spent the 2018 season with Jacksonville Armada FC of the National Premier Soccer League after playing in the USL for Saint Louis FC in 2017 and Toronto FC II in 2015 and 2016. He was drafted 29th overall in the 2015 Major League Soccer SuperDraft by Toronto FC and signed with its USL affiliate, making 43 appearances in two seasons with Toronto FC II. In 2017, Charpie, who hails from Tarpon Springs, Fla., joined Saint Louis FC and made 19 appearances with two assists. He enjoyed an extensive youth and college career, training with the Aston Villa and Blackburn youth teams, before earning multiple all-league honors at the University of South Florida. Morton, who scored the first goal in AutoZone Park history for Tulsa Roughnecks FC in the Sept. 1 “Soccer Showdown” exhibition match against the Colorado Rapids of MLS, made 27 starts and 32 appearances in his only season with Tulsa. He starred at the University of California, starting nearly every match and earning honorable mention all-conference honors as a senior, which led Morton to a fourth-round pick by the Chicago Fire in the 2018 MLS SuperDraft. The Wyandotte, Mich., native then signed with Tulsa two months later to begin his professional career. Additional signings will be announced in the coming weeks and months. For the latest information on Memphis 901 FC, visit www.Memphis901FC.com and follow the club on social media on Twitter, Facebook, and Instagram.